Field permissions configuration is important not only for security settings but also to control the user interface according to which form is displayed. Fields may be set either as write, read or hidden. Configuration often follows a consistent pattern in which a pair of conditions is often used for each field. Let's take a look at making adjustments for a single field. We want our field to be selectable on the add form, but read only after the initial form. 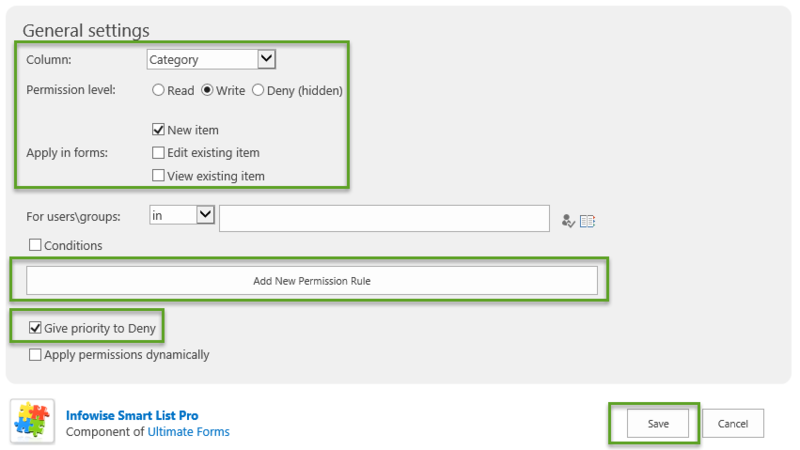 Use this common pattern to establish a pair of rules for each field that needs advanced permissions. 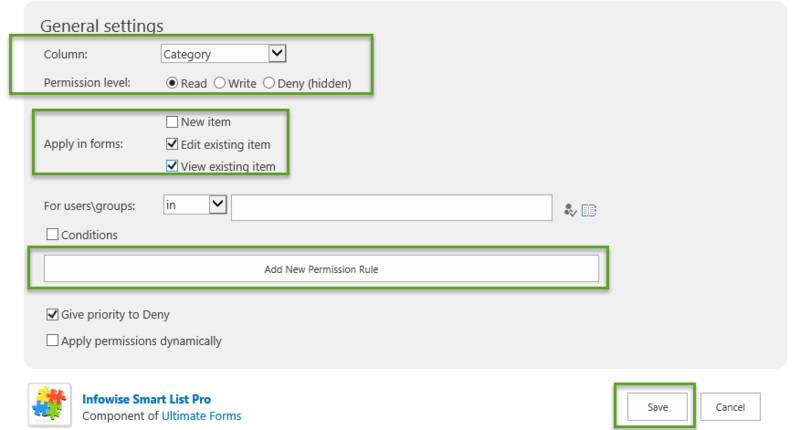 Create permissions rules that establish the mode to use for New, Edit and View each time as shown. Give priority to Deny is turned on by default. This setting should usually remain enabled in order to get the expected results. This ensures that unless permissions have been defined for a situation, it is expected that access should be denied for the field. The Edit and View form rules can almost always be the same. If a field is visible on the edit form to a user, then it is almost always the case it should also be visible on the view form. Setting a field writeable will not make it writable in the view form even if this option is selected. Often one rule is applied to the add form, and a second rule is applied for Edit and View forms.